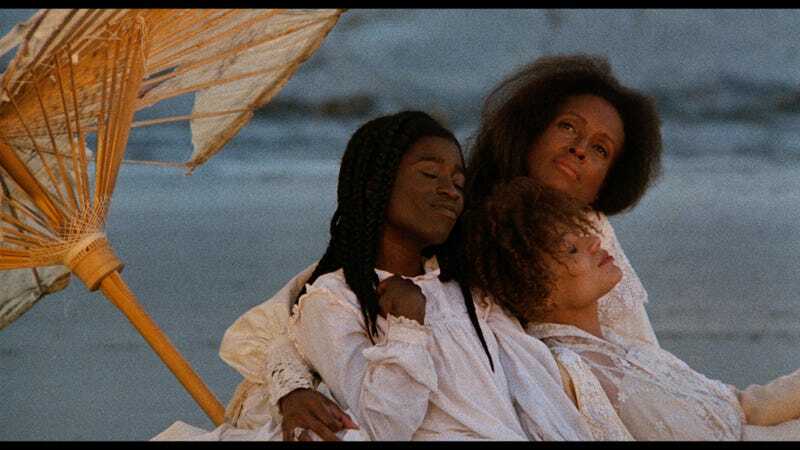 In the late ’80s, when filmmaker Julie Dash was raising money for her directorial debut, Daughters of the Dust, she met with resistance. “It’s been done,” people told her, citing the TV series Roots, the movie Sounder and even Gone With the Wind. Few of these potential funders recognized the breadth and originality of Dash’s vision. When the film premiered in 1991, it stunned people. Dash’s film is being reissued this week to celebrate its 25th anniversary. It will be screened at Film Forum in New York City starting Friday with a national rollout to follow. The reissue is cause for celebration of one of the great overlooked works of contemporary American cinema, but it’s also cause for an examination as to why this film didn’t propel Dash’s career. The film’s methodical pacing enables the viewer to appreciate the splendor and diversity of African culture and ritual that are maintained on the island. It heightens the tension between those leaving for the promise of the urban North and those who choose to stay. Another innovation is that the story is largely told through the eyes of its female protagonists; according to George, it’s a trait that puts the film in a lineage with the great literature of Alice Walker and Toni Morrison. “Its haunting images have endured precisely because Daughters presented a unique vision of the black American experience,” he said. The film won the Cinematography Award at the 1991 Sundance Film Festival and was a nominee for the Grand Jury Prize. And after that, crickets. Although Dash has a project ready to go about the Eleanor Roosevelt Battalion, an all-African-American female unit that served during World War II, the project remains stuck in the fundraising stage while she’s directed several cable movies and teaches cinema, television and emerging media at Morehouse College.